ROBBIE Henshaw is fast developing the leadership drive to become a genuine Test match "superstar", according to his Ireland centre partner Jared Payne. 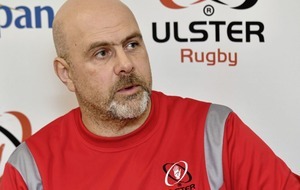 Outside centre Payne is boss Joe Schmidt's preferred defensive captain - but the teak-tough Ulster star insists Henshaw's all-round abilities hand him an armchair ride in midfield. 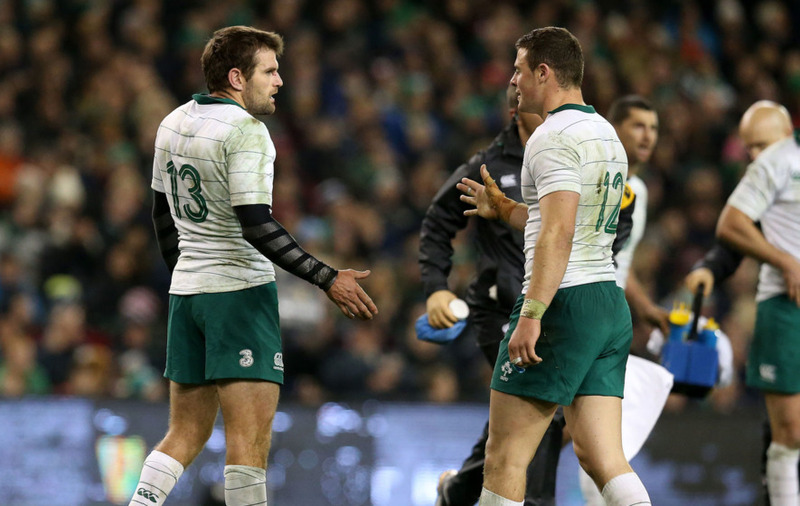 Henshaw truly came of Test match age in Ireland's maiden victory over New Zealand, the 40-29 triumph in Chicago on November 5. The Leinster star ended any argument over his best position, nailing the inside centre berth in supreme style, leaving the vastly-experienced New Zealand-born Payne purring over his midfield mate's rapid elevation. "I think he's getting better and better, the way he conducts himself off the pitch now, he's become more of a leader than when he first started out," said Payne of 23-year-old Henshaw, who now has 23 caps. "He backs himself a lot more now. He's got the physical attributes to become a superstar, and the more confidence he gets in himself off the pitch and the more he starts to lead people it's going to come out more in his game, and I think you're slowly starting to see that. "And hopefully that continues: because when you've got someone playing that well beside you it's pretty easy almost to just jump on a free ride off him." Payne's high praise for Henshaw underscores the former Connacht centre's now pivotal role in Ireland's starting XV. Head coach Schmidt trusts Payne's defensive determination above all others in his Ireland squad. So for the 31-year-old Payne - a former New Zealand Under-21 cap - to lay much of the midfield defensive credit at Henshaw's feet speaks volumes on the young star's integral status among his Test match peers. Henshaw ploughed home for the fifth and decisive try against New Zealand at Soldier Field, securing Ireland's maiden win over the All Blacks in 111 years of trying. Now New Zealand will pitch up in Dublin on Saturday desperately seeking revenge, after Ireland ended their record 18-match winning streak in the USA. While Payne was quick to hail Henshaw's rearguard regimen, Ireland skills coach Richie Murphy believes the rounded young centre can also blossom into a genuine second playmaker at 12. "He's really grown over the past couple of years," said Murphy of Henshaw. "It's three years since he was in training with us and was in the panel, when he played against Australia but then didn't feature in that Six Nations. 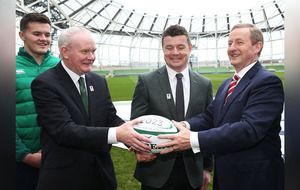 "So he was in learning from the likes of Brian O'Driscoll and Gordon D'Arcy. "Those players gave him the best possible start, but it's already the other way around. He's working with the like of Garry Ringrose and Niyi Adeolokun and he's bringing those guys through. "He's really stepped up, he's a big presence in the middle of the park for us and we're really happy with where he's going. "His versatility is a great advantage to us, he can play 12, 13 and if you wanted to put him at 15 you could do that too. He's a really good man to have in the squad. "He's a quality passer off both hands. From 12 having the ability to rip that ball when it's needed is a big advantage. "A lot of people will think of him as a strong man who carries a lot of ball, but there's a lot more to his game than that. Over the last few years, he's been used in very different ways and it shows his ability to fit in to those game plans."